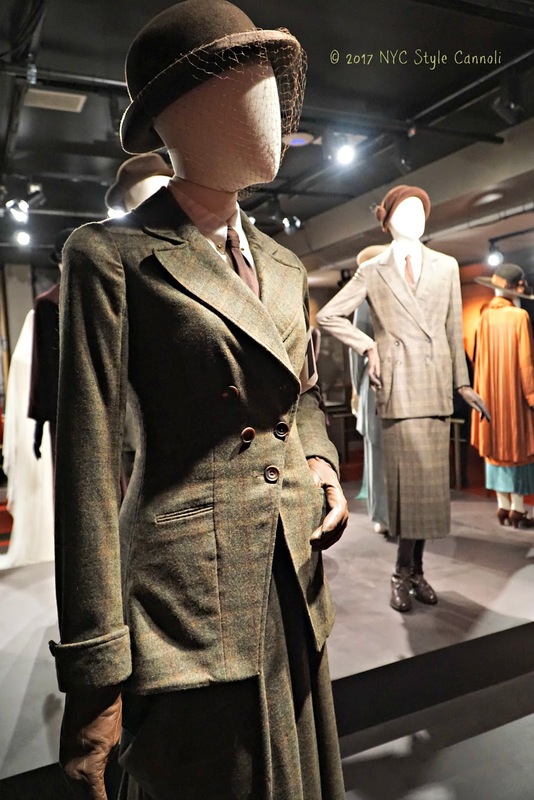 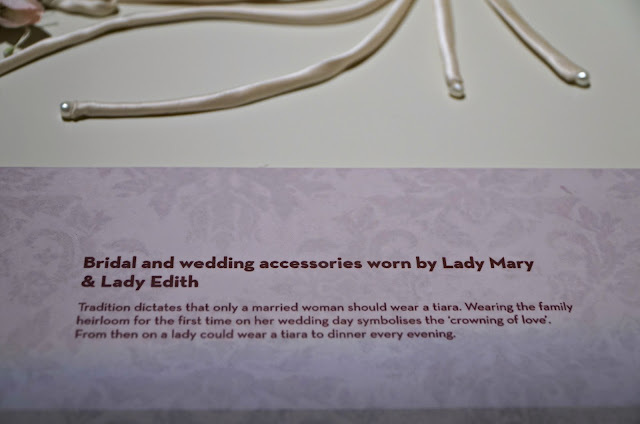 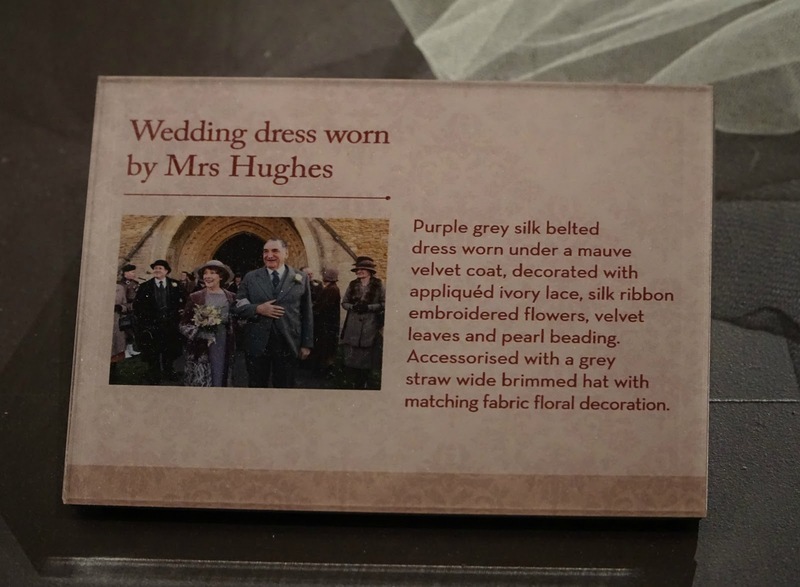 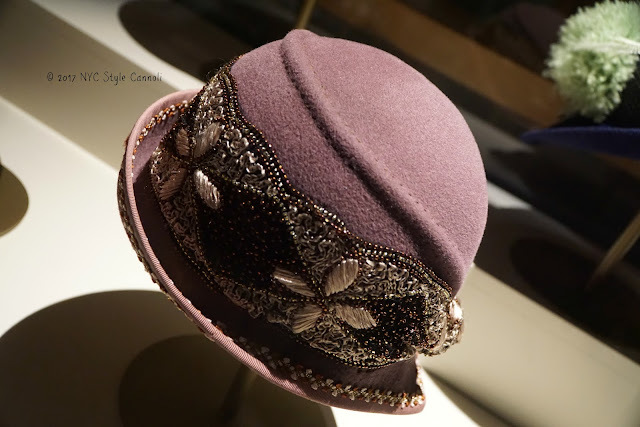 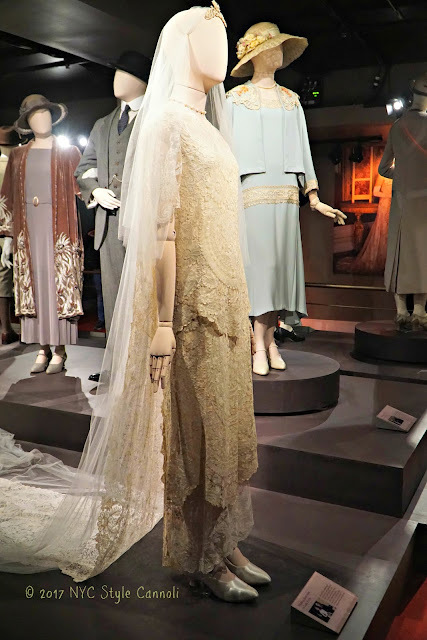 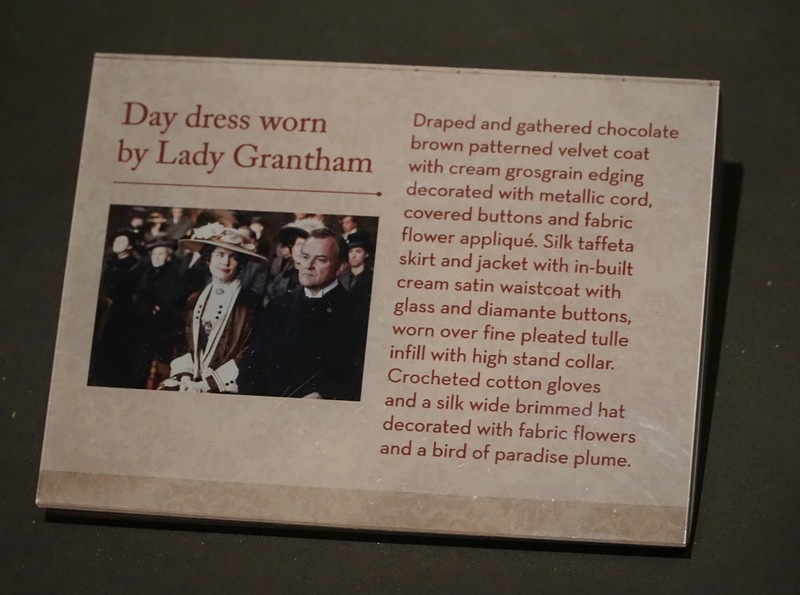 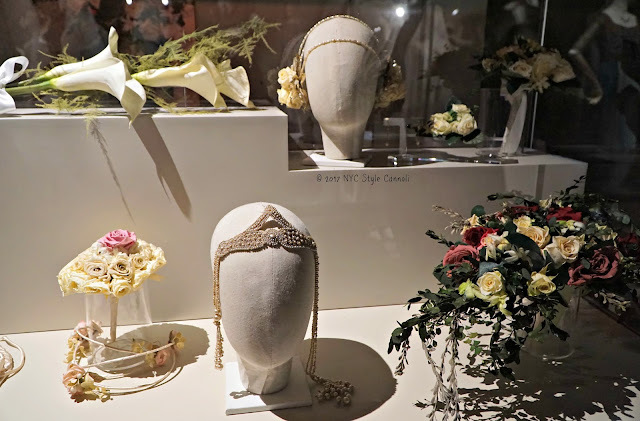 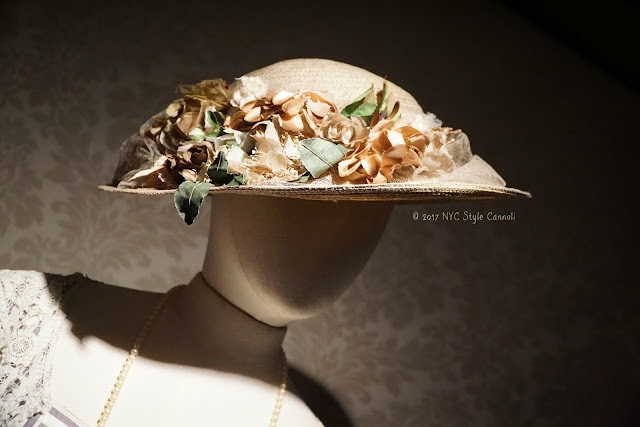 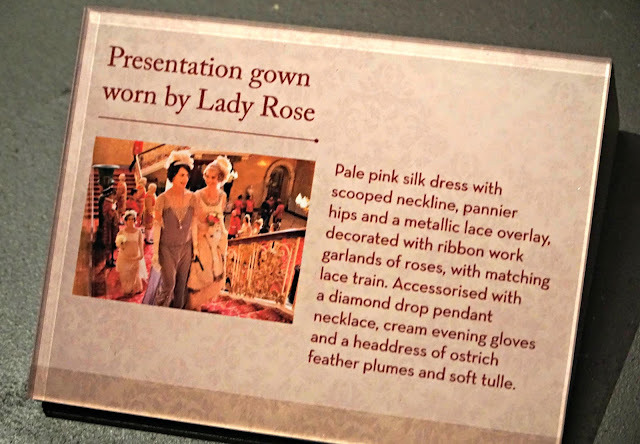 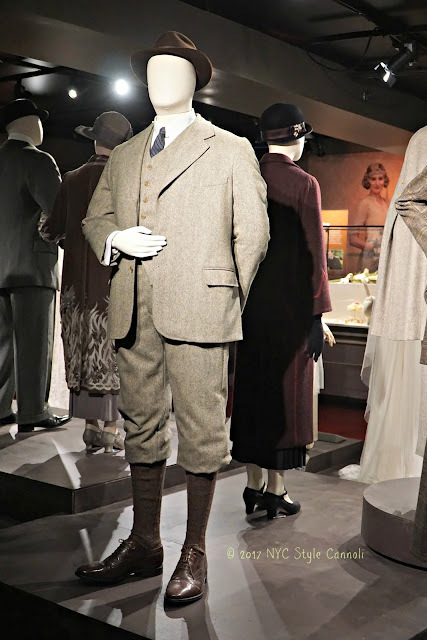 Today is the last day of the Downton Abbey The Exhibition. 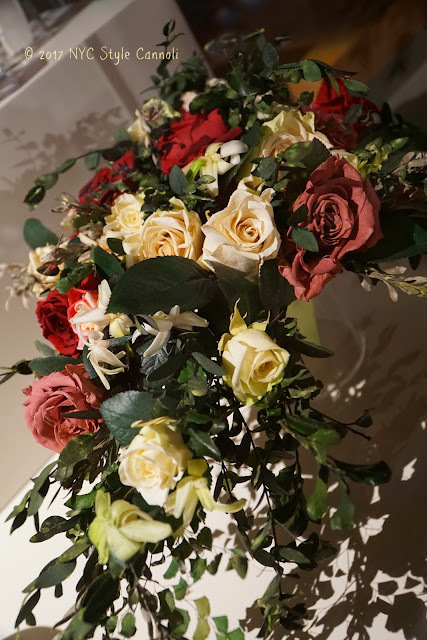 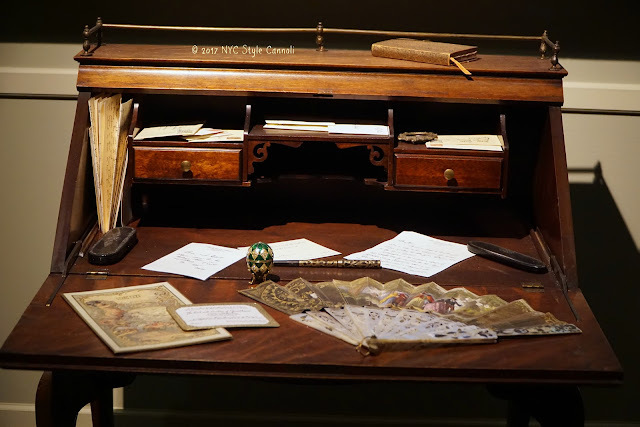 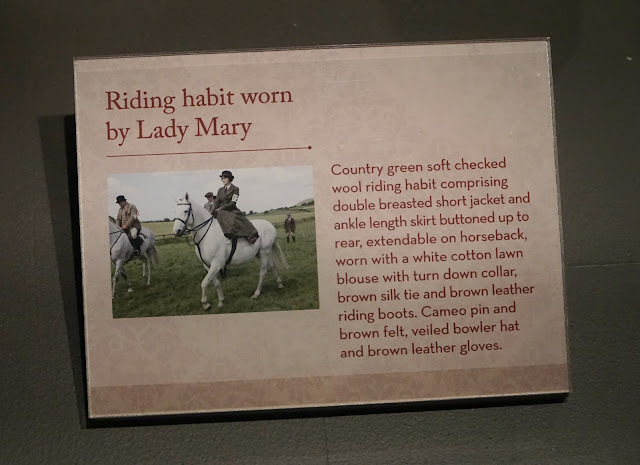 I hope I didn't bore you this week, but I had so many photos that I wanted to show you, so we have enjoyed this lovely exhibit for the whole week! 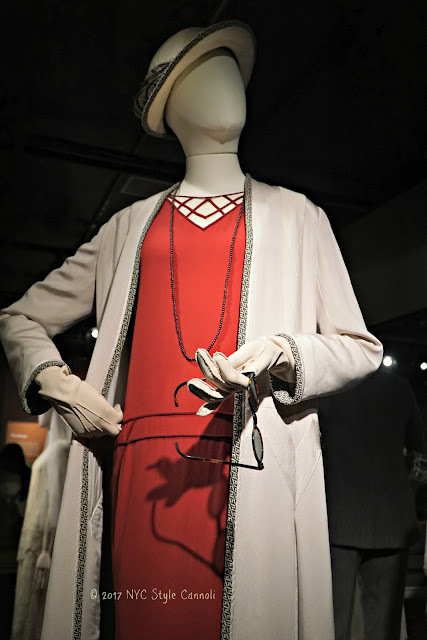 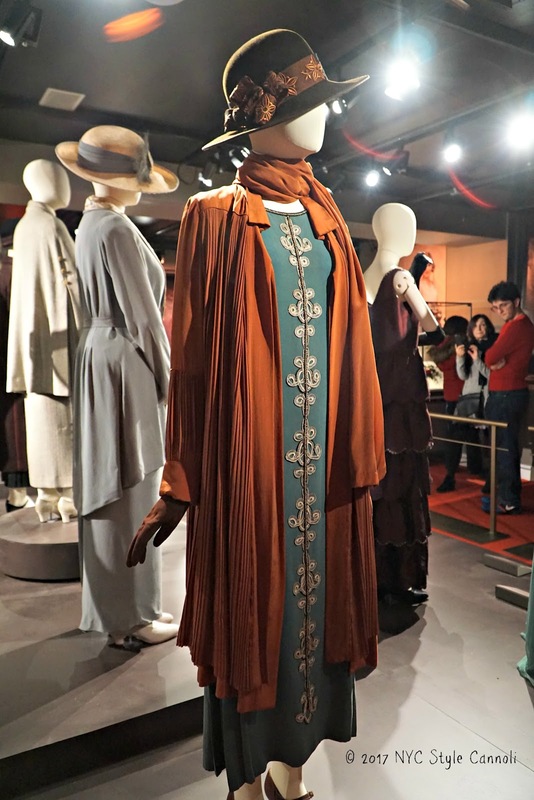 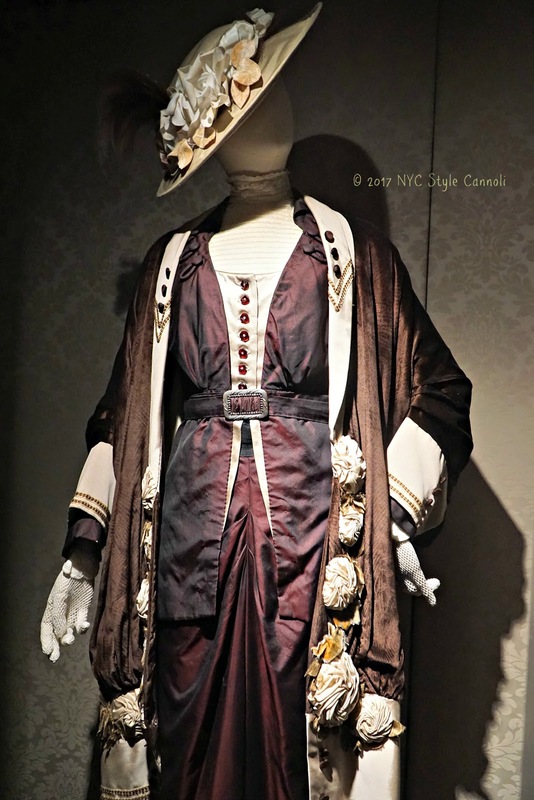 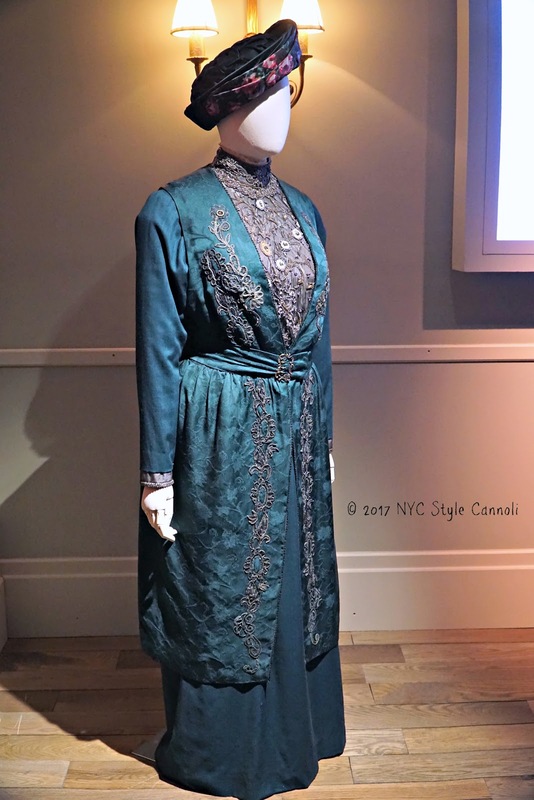 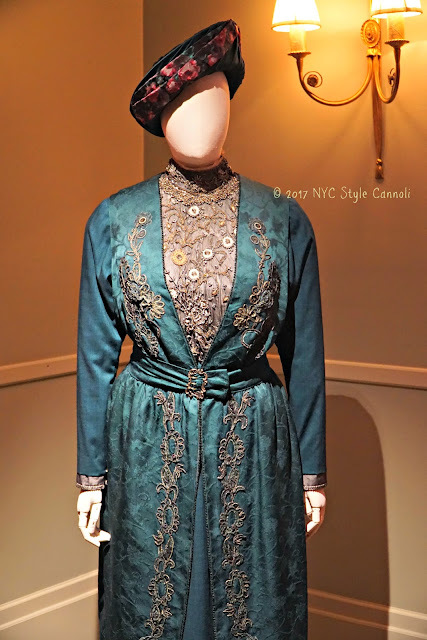 The above outfit was worn by everyone's favorite Violet Crawley, Dowager Countess of Grantham. 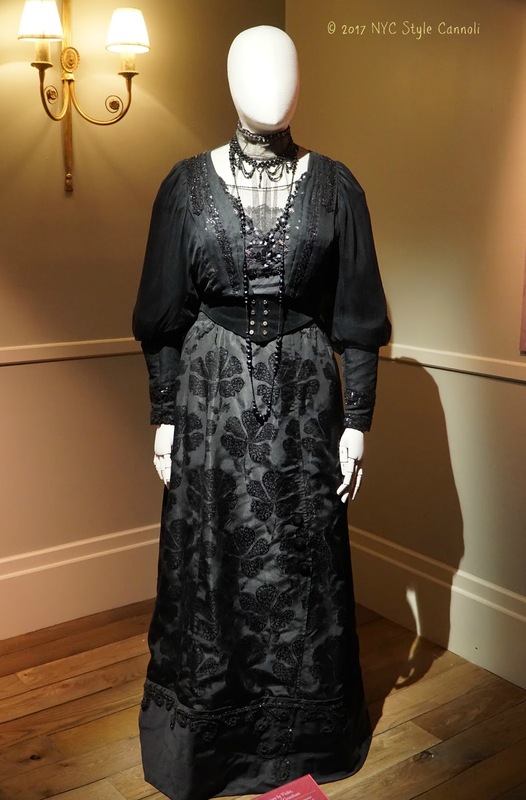 She really made the show totally amazing!! 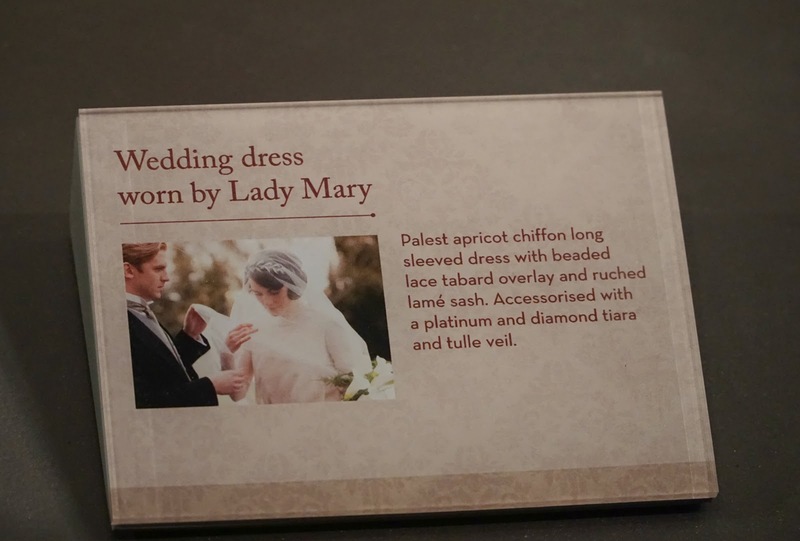 The fashion display here was nothing sort of amazing. The lady who worked on costume design, Anna Mary Scott Robbins, did a remarkable job. 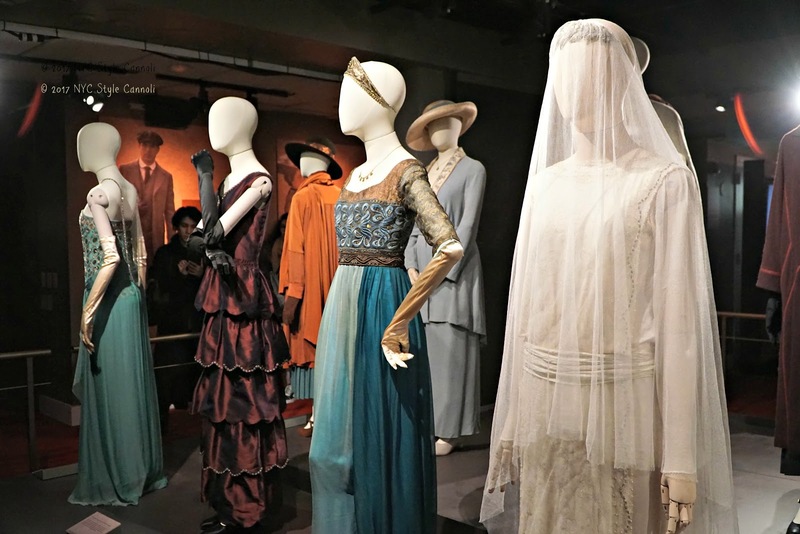 Around 60 percent of Downton's costumes for the "upstairs" ladies are made from scratch, Robbins told Britain's Daily Mail, with the rest created from existing vintage items, some costing as much as £1,000 (about $1,554), which are then painstakingly restored. 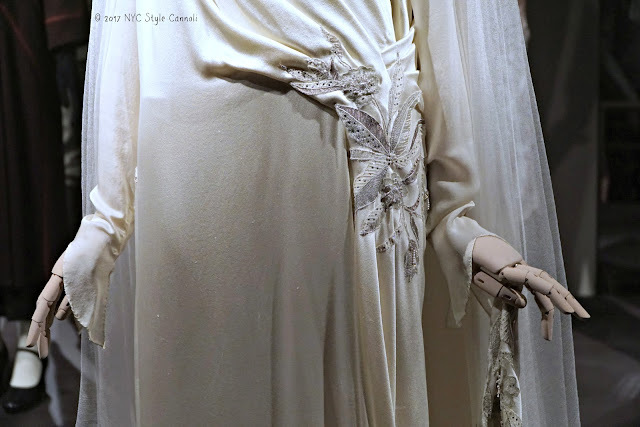 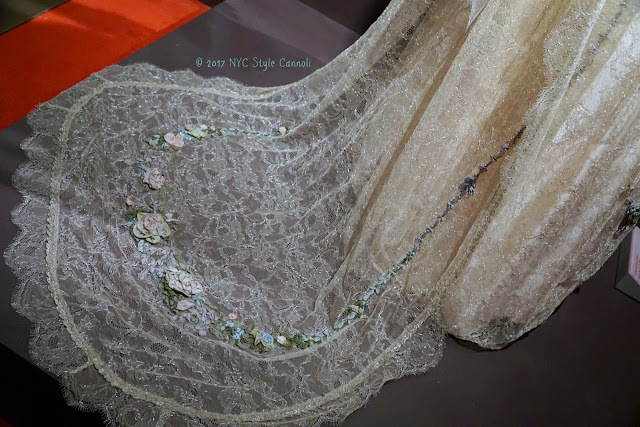 This was gorgeous worn by Lady Rose and was so hard to photograph. 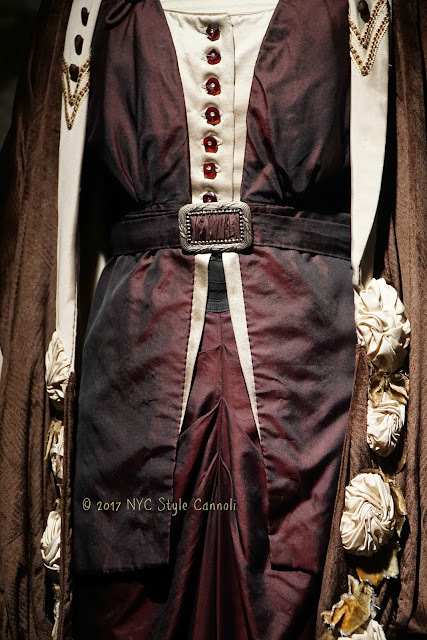 I think I was able to get some good shots for you to appreciate the design. 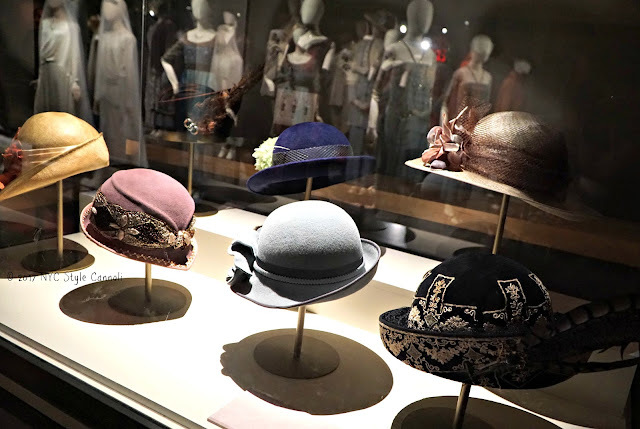 These outfits make you want to wear a hat! 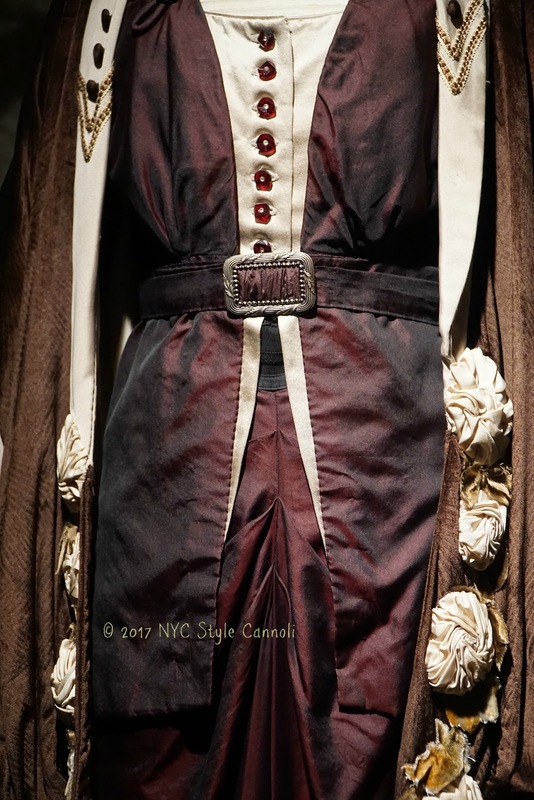 There is so much detail in these clothes! 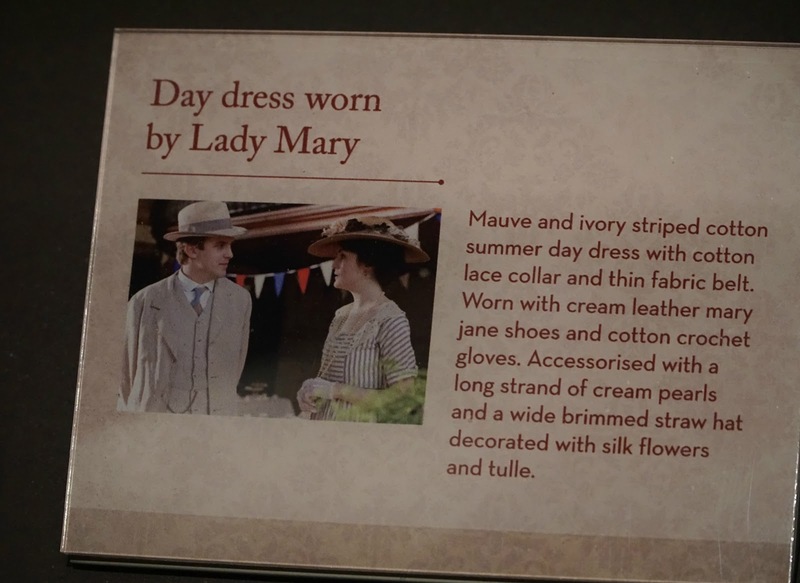 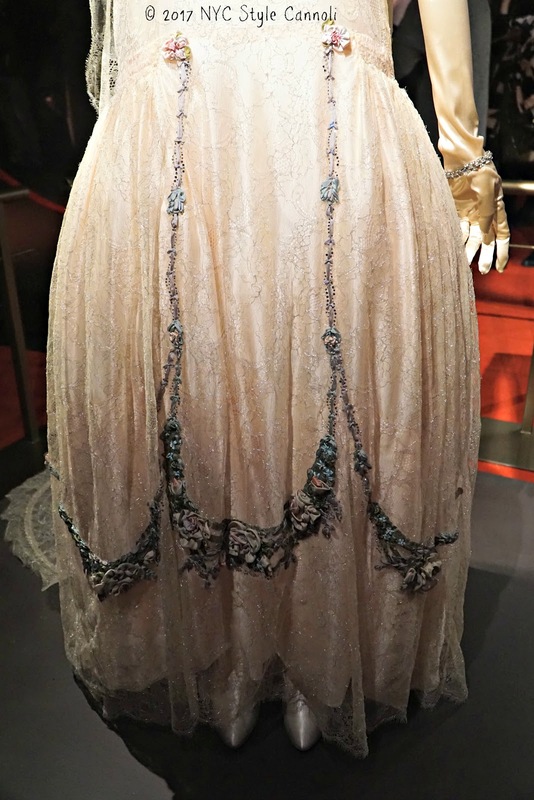 I totally remember this dress on Lady Sybil. I think I need to start watching the series from the beginning. Those first few seasons were excellent. 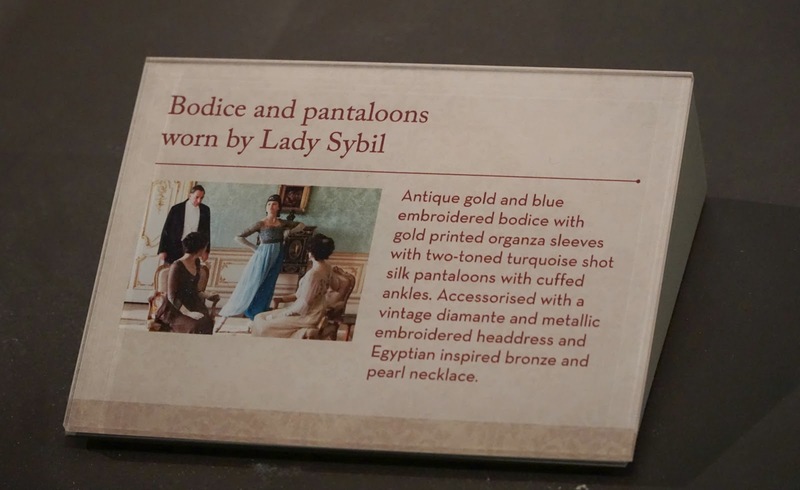 I hope you enjoyed the Downton Abbey Exhibit this week. It is on view until April 2nd and if you loved the show, I would highly suggest you visit. 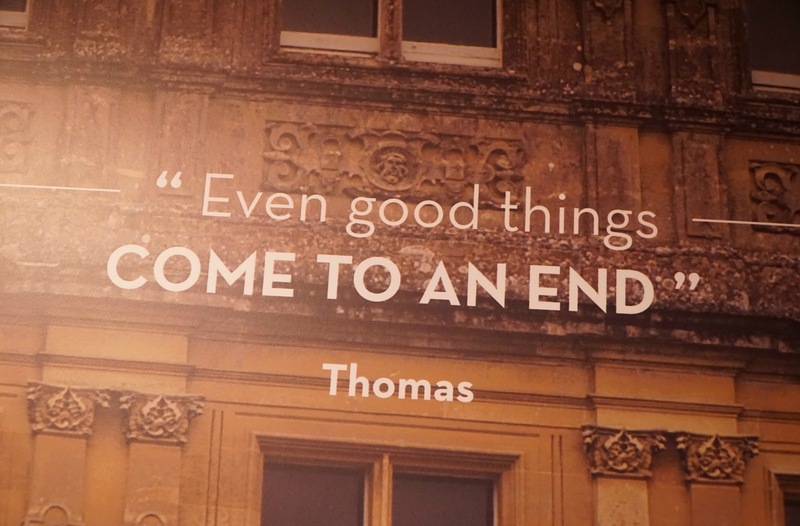 You will not be disappointed in the least. 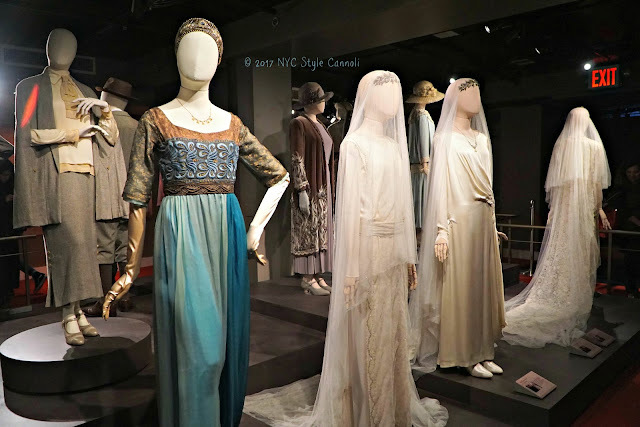 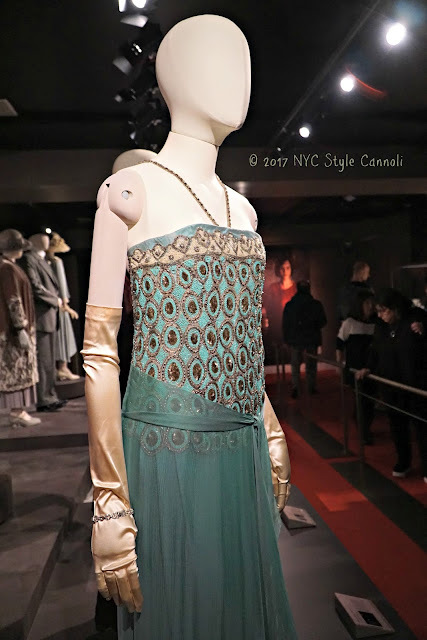 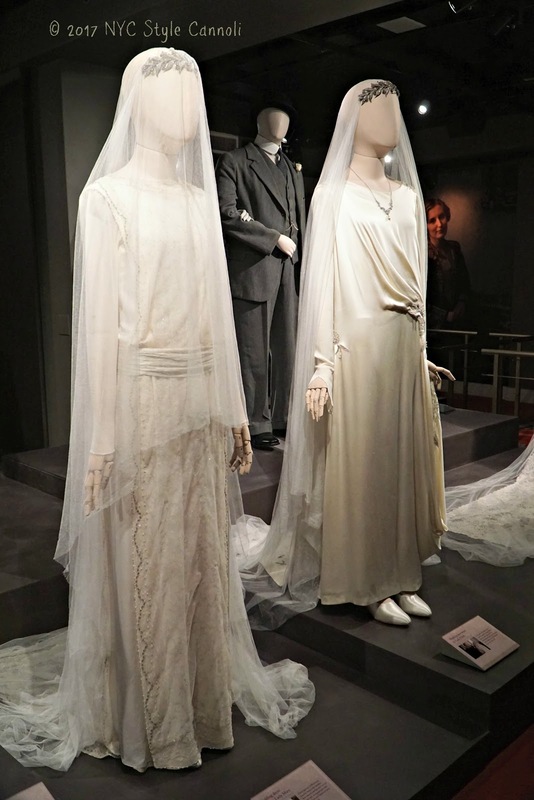 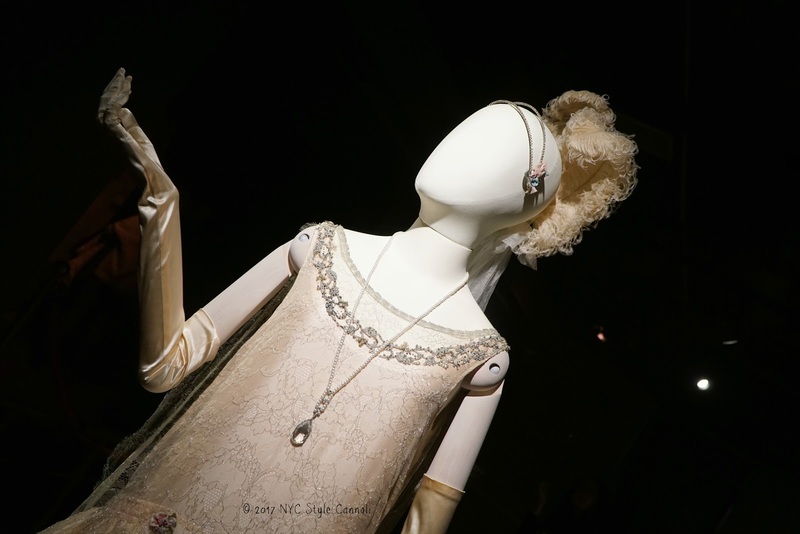 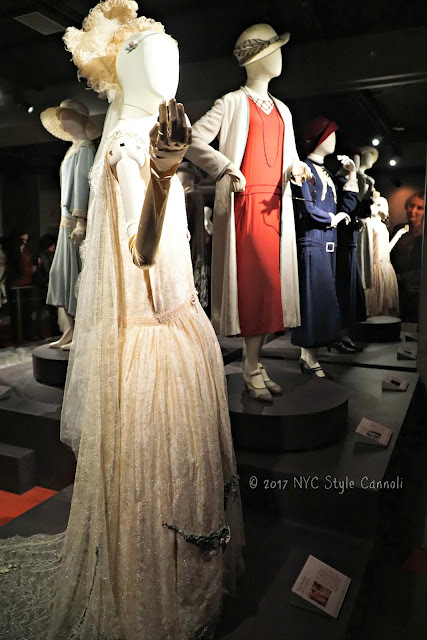 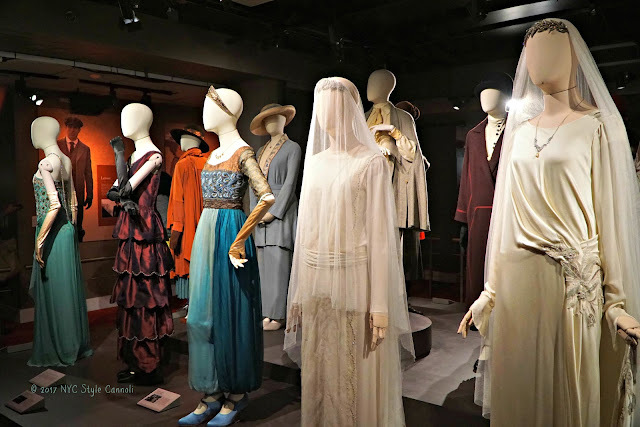 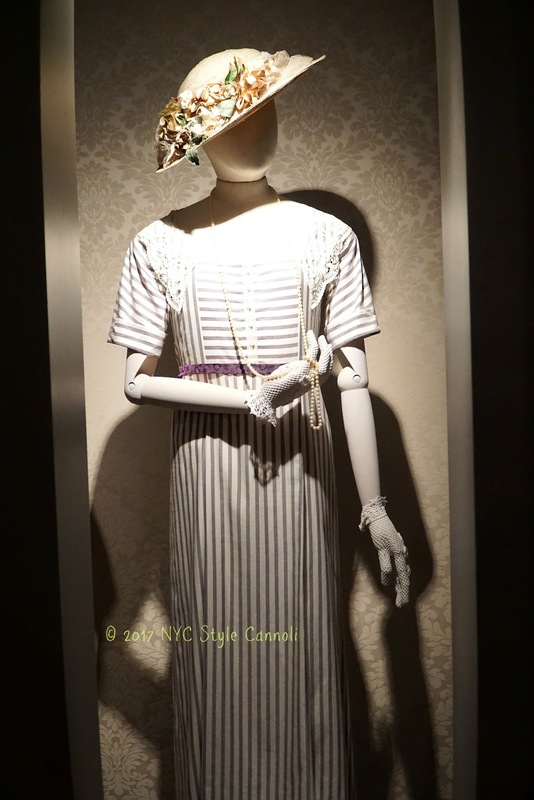 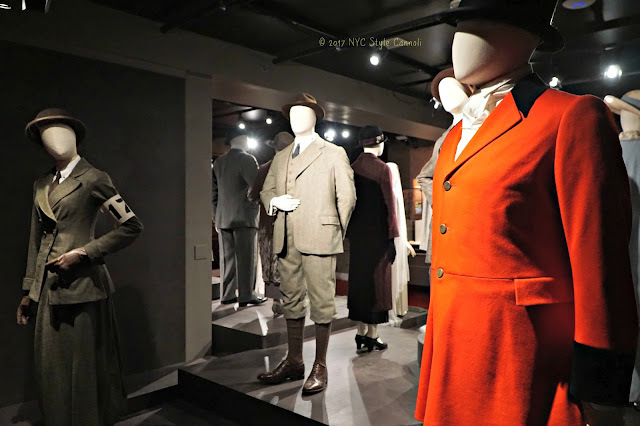 Downton Abbey: the Exhibition is in New York City for a limited time. 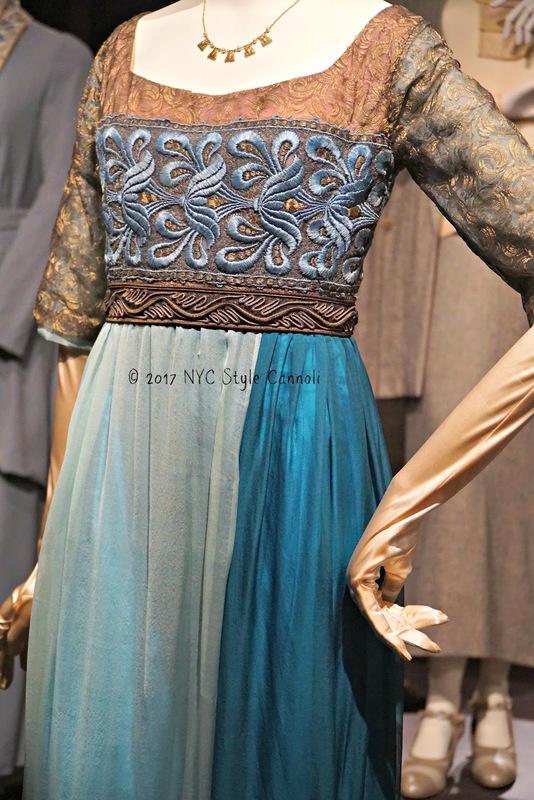 Extended by popular demand! Open now through April 2, 2018. 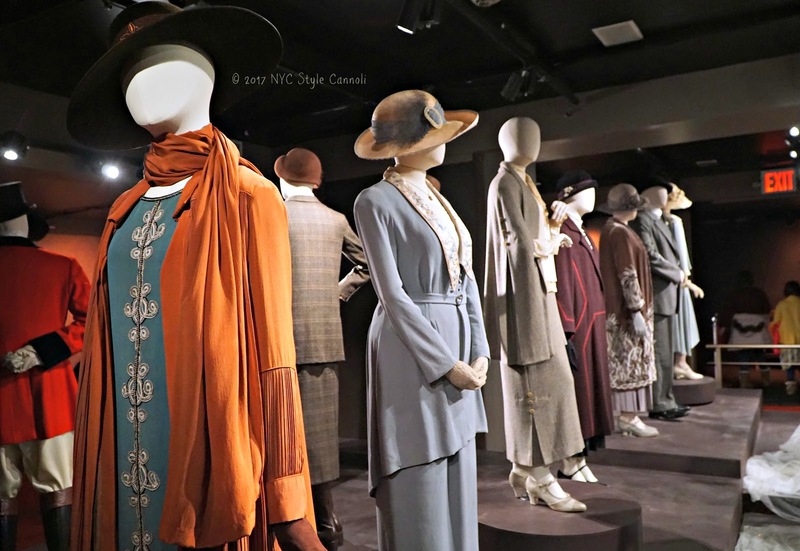 The Daily VIP ticket for $49.00 allows guests to visit the exhibition on the selected date of visit at any time during normal operating hours. 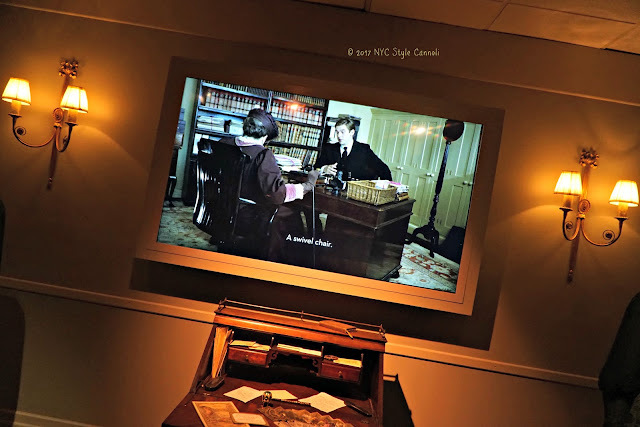 The ticket also includes a complimentary multi-media device with behind the scenes videos which is not included with the general admission ticket. 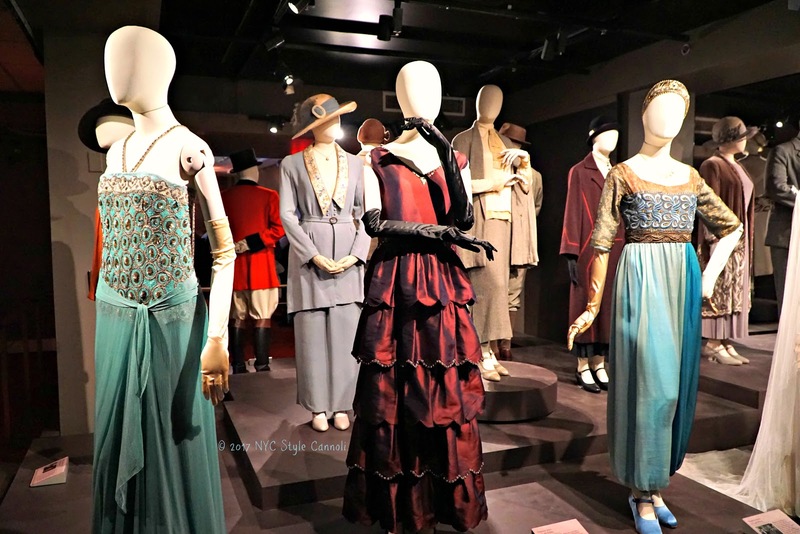 The regular admission ticket is $35.00 for entry at a specific date and time.